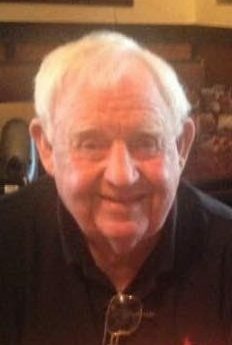 Obituary – Joe Walker Gaither, Sr.
Joe Walker Gaither, Sr., 82, of Huntersville, North Carolina passed away Monday, May 30, 2016, following complications of a stroke. Mr. Gaither was born in Iredell County on November 8, 1933, and was the son of the late Marvin Frederick Gaither and Margaret Morrison Gaither. Joe was the grandson of Marvin Fredrick Gaither in the line of Newton Jasper, Milton, Zachariah, Benjamin III, John IV, John III, and John Gaither. He grew up in the Wilkesboro Road area of Statesville, and was a graduate of Scotts High School, and a veteran of the U.S. Army. Mr. Gaither was Owner and President of Southeastern Exterminating Co., Inc. He had served as a Regional Director of the NC Pest Control Association, was a member of the Duck Creek Gun Club where he served as past president, and also the past chairman of Iredell Friends of the NRA. He loved the outdoors, beings a Sportsman, Collecting and people. In addition to his parents, he was preceded in death by his eldest son, Joe W. Gaither, Jr., a sister, Betty G. Putnam along with two brothers, Fred Gaither, Jr. and James R. Gaither, Sr. He is survived by his former wife, Gail Poole Gaither of Winston-Salem; two sons, Reverend John B. Gaither (Nathaile) of Hillsborough, NC and Steven K. Gaither (Mary Grace) of Huntersville, and two daughters, Pam G. Burgess (Thom) of Concord, NC and Ann G. Teague (Mark), of Charlotte. He is also survived by a sister, Nancy K. Gaither of Durham, NC, 12 grandchildren, two great grandchildren, and a number of nieces and nephews. Funeral services for Joe Gaither, Sr. were conducted on June 2, 2016, in the Nicholson Funeral Home Chapel with Rev. Thant McManus and Rev. Jeff. O. Smith officiating. Burial followed in the Oakwood Cemetery with full military honors provided by the Iredell County Veterans Council Burial Detail. Memorials may be made to Make A Wish Foundation, 1131 Harding Pl, Charlotte, NC 28204.